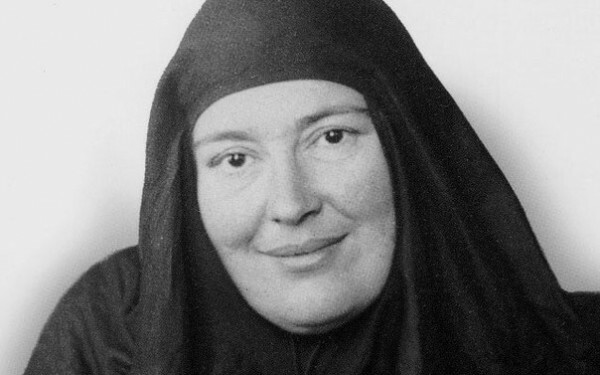 Mother Maria Skobtsova — now recognized as Saint Maria of Paris — died in a German concentration camp on the 30th of March 1945. Although perishing in a gas chamber, Mother Maria did not perish in the Church’s memory. Those who had known her would again and again draw attention to the ideas, insights and activities of the heroic nun who had spent so many years of her life assisting people in desperate need. Soon after the war ended, essays and books about her began appearing in French, Russian and English. A Russian film, “Mother Maria,” was made in 1982. 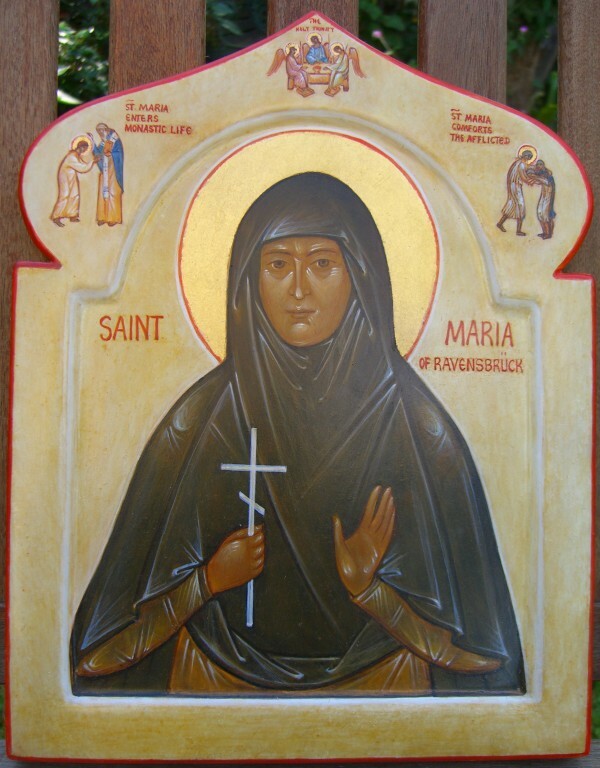 Her canonization was celebrated in May 2004 at the Cathedral of St. Alexander Nevsky in Paris. Among those present at the event was Cardinal Jean-Marie Lustiger, archbishop of Paris and Jewish by birth, who subsequently placed St. Maria on the calendar of the Catholic Church in France. 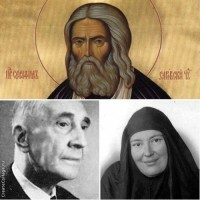 One wonders if there are any other saints of post-Schism Christianity who are on both the Catholic and Orthodox calendars? We have no time today for a detailed account of her life. I will only point out that she was born in Riga in 1891 and grew up on a family estate along the Black Sea. Her father’s death when she was fourteen was a devastating event that for a time led her to atheism, but gradually she found her way back to the Orthodox faith. 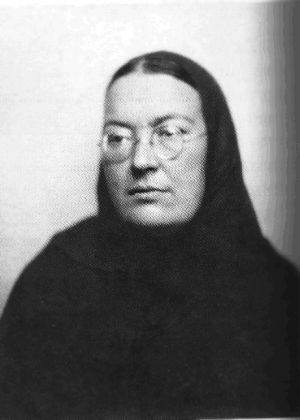 As a young woman, she was the first female student at the St. Petersburg Theological Academy. In the same period she witnessed the Bolshevik coup and the civil war that followed. Like so many Russians, she fled for her life, finally reaching Paris, where she was among those who devoted themselves to serving fellow refugees, many of whom were now living in a state of destitution even worse than her own. At that time, she worked with the Student Christian Movement. Elizaveta Skobtsova with the children. Anastasia is on the left. The tragic death in 1926 of one her daughters, Anastasia, precipitated a decision that brought her to a still deeper level of self-giving love. In 1932, following the collapse of her marriage, her bishop, Metropolitan Evlogy, encouraged her to become a nun, but a nun with an exceptional vocation. Metropolitan Evlogy blessed her to develop a new type of monasticism — a “monasticism in the world” — that centered on diaconal service within the city rather than on quiet withdrawal in a rural context. The water she decided to walk upon was a vocation of hospitality. With financial support from Metropolitan Evlogy, in December 1932 she signed a lease for her first house of hospitality, a place of welcome and assistance to people in desperate need, mainly young Russian women. The first night she slept on the floor beneath the icon of the Protection of the Mother of God. A small community of co-workers began to form. To make room for others, Mother Maria gave up her own room and instead slept on an iron bedstead in the basement by the boiler. A room upstairs became a chapel. 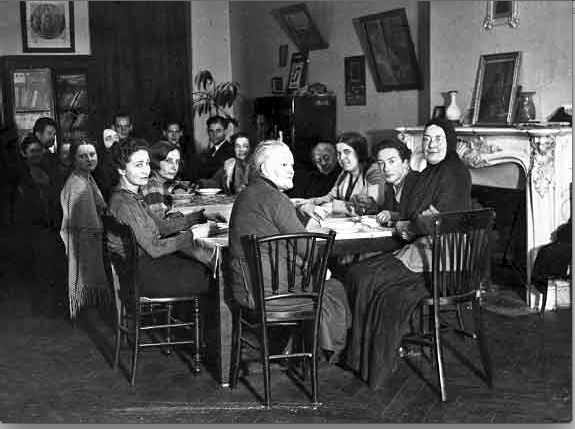 The first house having become too small, in 1934 the community relocated to a three-storey house at 77 rue de Lourmel in an area of Paris where many impoverished Russian refugees had settled. Now, instead of 25 people, the community could feed a hundred. Stables in back became a small church. By 1937, there were several dozen women guests at 77 rue de Lourmel. Up to 120 dinners were served each day. Other buildings were rented, one for families in need, another for single men. A rural property became a sanatorium. From a financial point of view, it was a very insecure life, but somehow the work survived and grew. Mother Maria would sometimes recall the Russian story of the ruble that could never be spent. Each time it was used, the change given back proved to equal a ruble. It was exactly this way with love, she said: No matter how much love you give, you never have less. In fact you discover you have more — one ruble becomes two, two becomes ten. Mother Maria’s day typically began with a journey to Les Halles to beg food or buy cheaply whatever was not donated. The cigarette-smoking beggar nun became well known among the stalls. She would later return with a sack of bones, fish and overripe fruit and vegetables. Mother Maria saw blessings where others only saw disaster. “In the past religious freedom was trampled down by forces external to Christianity,” she wrote. “In Russia we can say that any regime whatsoever will build concentration camps as its response to religious freedom.” She considered exile in the west a heaven-sent opportunity to renew the Church in ways that would have met repression within her mother country. In October 1939, Metropolitan Evlogy send a priest to rue de Lourmel: Father Dimitri Klépinin, then 35 years old. A man of few words and great modesty, Fr. Dimitri proved to be a real partner for Mother Maria. The last phase of Mother Maria’s life was a series of responses to World War II and Germany’s occupation of France. Paris fell on the 14th of June. With defeat came greater poverty and hunger for many people. Local authorities in Paris declared the house at rue de Lourmel an official food distribution point. Paris was now a prison. “There is the dry clatter of iron, steel and brass,” wrote Mother Maria. “Order is all.” Russian refugees were among the high-priority targets of the occupiers. 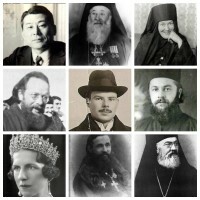 In June 1941, a thousand were arrested, including several close friends of Mother Maria and Fr. Dimitri. An aid project for prisoners and their dependents was soon launched by Mother Maria. Early in 1942, with Jewish registration underway, Jews began to knock on the door at rue de Lourmel asking Fr. Dimitri if he would issue baptismal certificates to them. The answer was always yes. The names of those “baptized” were also duly recorded in his parish register in case there was any cross-checking by the police or Gestapo, as indeed did happen. Fr. Dimitri was convinced that in such a situation Christ would do the same. In July, Jews were forbidden access to nearly all public places. Shopping by Jews was restricted to an hour per day. A week later, there was a mass arrest of Jews — 12,884, of whom 6,900 (two-thirds of them children) were brought to a sports stadium just a kilometer from rue de Lourmel. Held there for five days, the captives in the stadium received water only from a single hydrant. From there the captives were to be sent to Auschwitz. Mother Maria had often thought her monastic robe a God-send in aiding her work. Now it opened the way for her to enter the stadium. Here she worked for three days trying to comfort the children and their parents, distributing what food she could bring in, even managing to rescue a number of children by enlisting the aid of garbage collectors and smuggling them out in trash bins. The house at rue de Lourmel was bursting with people, many of them Jews. “It is amazing,” Mother Maria remarked, “that the Germans haven’t pounced on us yet.” In the same period, she said if anyone came looking for Jews, she would show them an icon of the Mother of God. Fr. Dimitri, Mother Maria and their co-workers set up routes of escape to the unoccupied south. It was complex and dangerous work. Forged documents had to be obtained. An escaped Russian prisoner of war was also among those assisted, working for a time in the Lourmel kitchen. In turn, a local resistance group helped secure provisions for those Mother Maria’s community was struggling to feed. 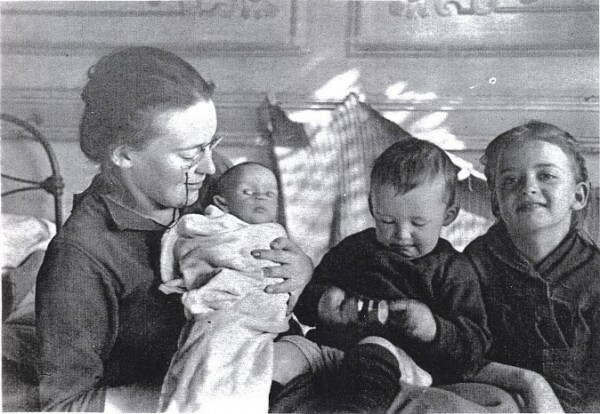 In February 1943 Mother Maria, her son Yuri, Fr. Dimitri and their collaborator Ilya Fondaminsky were arrested by the Gestapo and sent to the camp at Compiegne. In December, Yuri and Fr. Dimitri were deported to Buchenwald concentration camp in Germany and from there to Dora, 40 kilometers away. On the 6th of February, Yuri was “dispatched for treatment” — a euphemism for being sentenced to death. Four days later Fr. Dimitri, lying on a dirt floor, died of pneumonia. His final action was to make the sign of the Cross. His body was disposed of in the Buchenwald crematorium. We now know Mother Maria as St. Maria of Paris. Her commemoration occurs on July 20. Every saint poses a challenge, but Mother Maria is perhaps among the most challenging saints. Her life is a passionate objection to any form of Christianity that seeks Christ chiefly inside church buildings. Still more profoundly, she challenges each of us to a life of a deeper, more radical hospitality, a hospitality that includes not only those who share our faith and language but those whom we regard as “the other,” people in whom we resist recognizing the face of Christ.